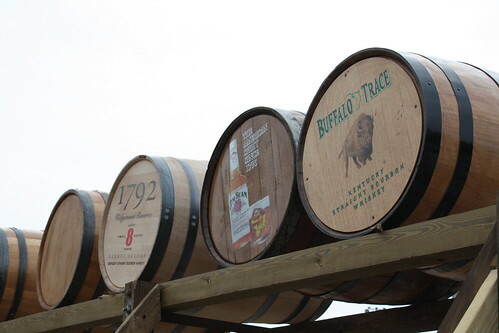 Today I attended the Kentucky Bourbon Festival with Greg Stein and Bruno Bowden. 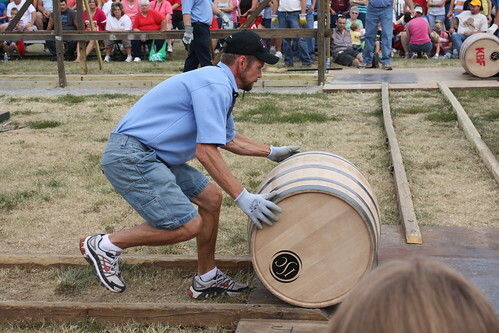 We attended the Barrel Rolling contest, which was amazing. 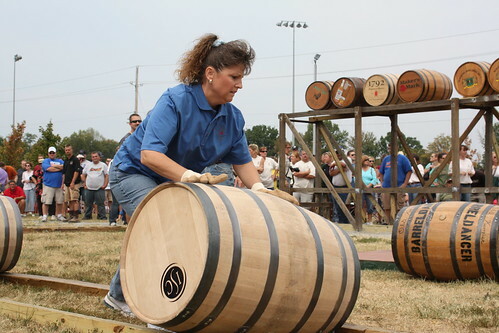 Men and women who work in the distilleries compete to see how fast they can roll full Bourbon barrels around a track of wooden rails, and roll them into a chute such that they reach the end with the rubber bung pointing up – so they have to know which end up they need to be when they go into the chute. It was just amazing how fast these folks were. I left to come home before it was all over, but stayed long enough to see the mens’ individual, women’s individual, and the womens’ team event.